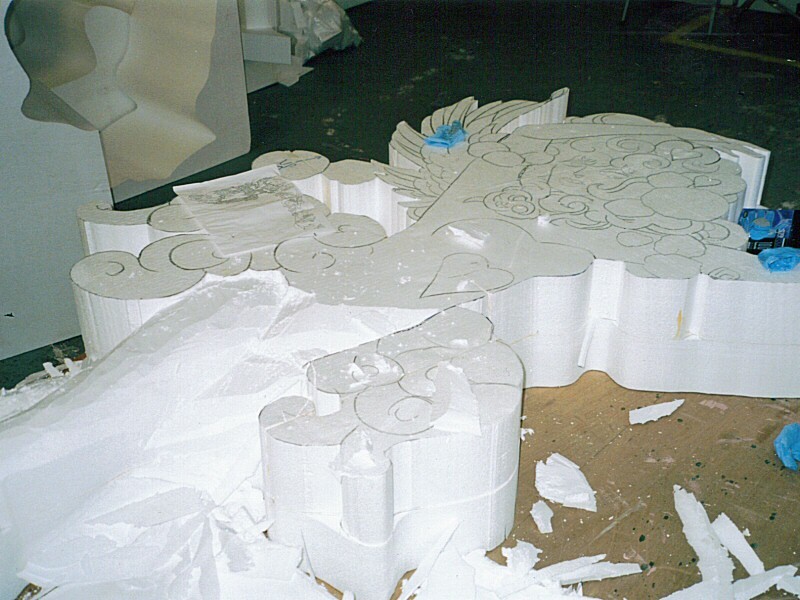 The models for the Illuminations are made from large blocks of polystyrene. 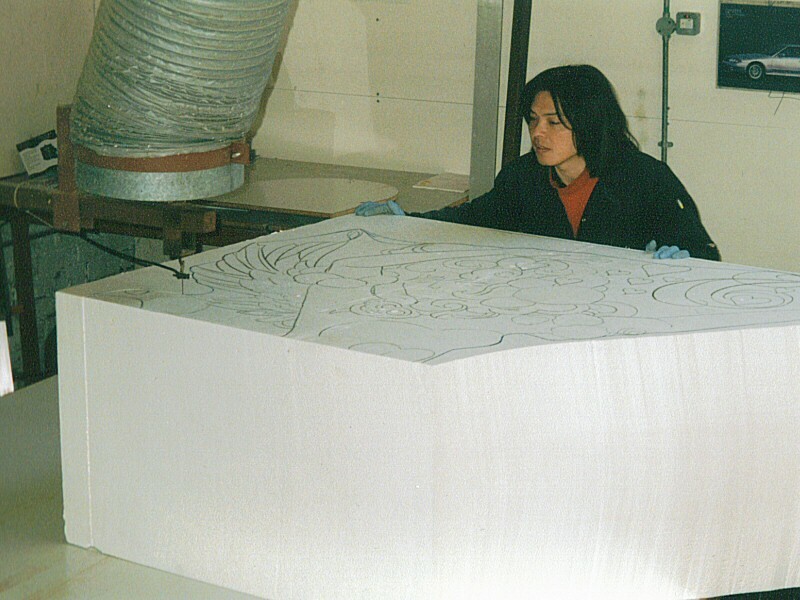 To achieve the scale necessary, the design is projected onto the blocks so that we can draw out the shape to the required size. 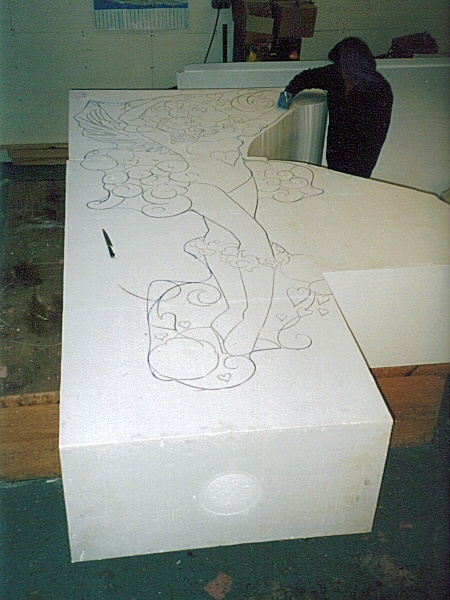 Once drawn, the outline of the feature is cut out using a hot wire to melt through the polystyrene. 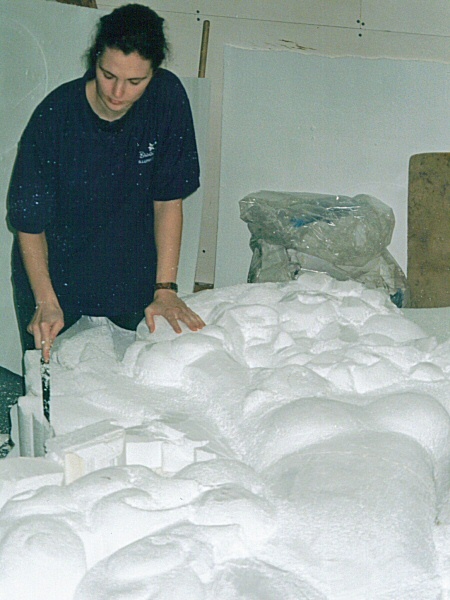 With the basic shape established we then carve the polystyrene to create a 3D model using basic equipment such as kitchen knifes and wire brushes. 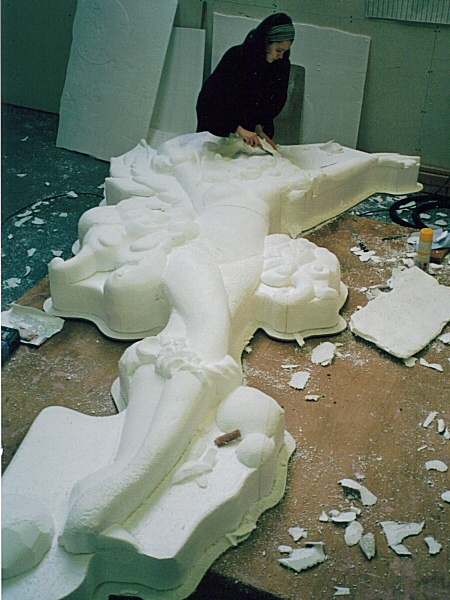 All of this carving is done by hand by one of Illumination's artists. 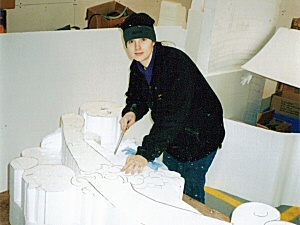 The final stage of the carving process involves smoothing down the figures with sandpaper. 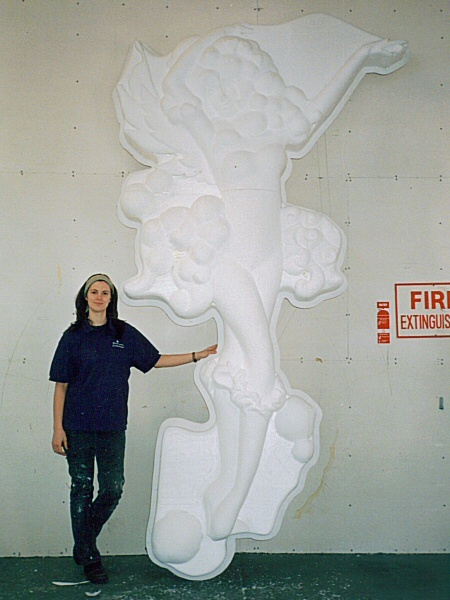 Blackpool Illuminations is the greatest free light show on earth, where Sarah Myerscough (me) works as an artist. 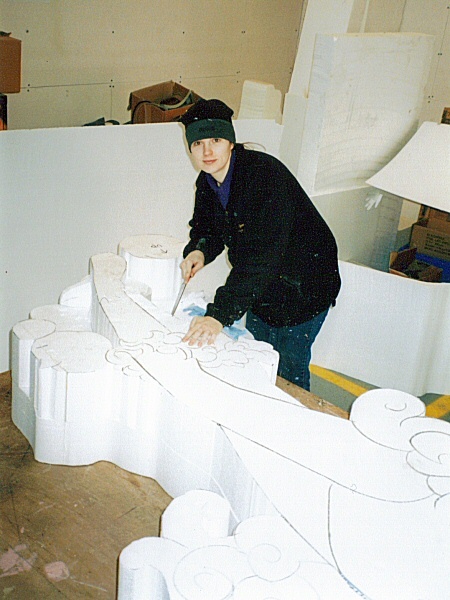 The Illuminations are an annual event that takes place from late August / early September to November, along six miles of the promenade in Blackpool, a seaside resort in the North West of England.